Welcome to Bon Chovy Fishing Charters! Charters & Rates Click here for our rates. We offer fully guided fishing charters 365 days of the year! Multi Day Fishing Packages Check out our great multi day fishing packages complete with guided fishing and great waterfront accommodation! The Boats Our fleet is rigged to do one thing.... FISH. Check out this page for more details. 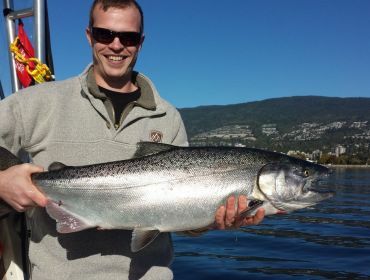 Bon Chovy Fishing Charters offers fully guided salmon fishing charters from Downtown Vancouver. Located on Granville Island, we are minutes away from all major Vancouver Hotels. Come join us for an adventure you won’t forget. We are open 365 days of the year and we have the largest and most experienced team of guides in Vancouver. Vancouver supports an exciting year round fishery for all five species of Pacific Salmon. 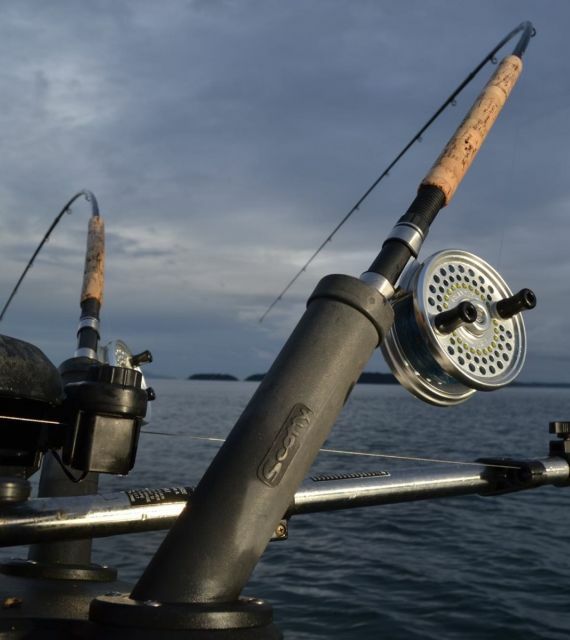 Our fully insured and equipped boats are ideally suited to fish our local waters. We offer daily fishing charters from 5 hours to 10 hours in length as well as overnight fishing packages. 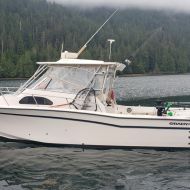 Our Vancouver Salmon Fishing fleet consists of Grady White sport fishing boats that are perfectly rigged to fish local Vancouver waters. All of our boats our powered by late model Yamaha Outboards. Our boats are rigged to fish and we go to where the fish are. We are owner operated ensuring the best service and product possible. We want to earn your repeat business! 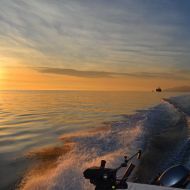 All Vancouver fishing charters with Bon Chovy are fully guided. We supply everything needed to go fishing. The only thing you need to bring is something to eat and drink. Vancouver BC is fortunate to have consistent salmon fishing 365 days of the year. 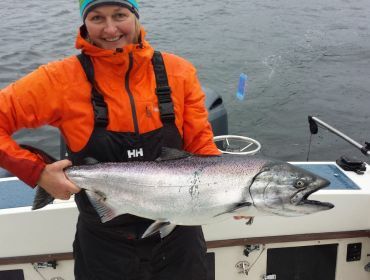 We have access to a number of different salmon fisheries which keep our guests on edge while on charter. Our Fraser River sturgeon trips are available every day of the year. Sturgeon fishing is a must do for anyone living or visiting Vancouver. Imagine catching a fish bigger than you are! We are fortunate to have this world class fishery right on our doorstep. Departing Granville Island, we leave the sky scrapers behind and head up to Howe Sound to fish for winter chinook salmon. 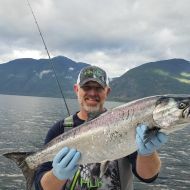 This great fishing is only a short boat ride from downtown Vancouver. Our objective is simple. 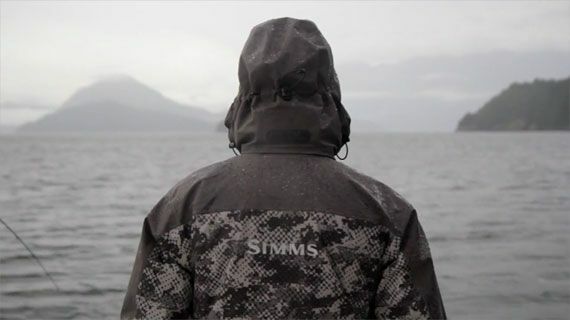 To be the best in Vancouver's local salmon fishing. Our experience and enthusiasm will do just that. We take pride in every piece of bait we put down. We are not just another cruise; we take our job seriously. Our aim is to make our trips fun and the fishing productive. 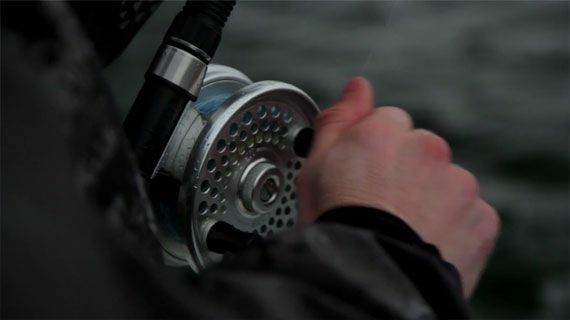 Our attention to detail while fishing and in customer service is what sets us apart from the others. Bon Chovy Fishing Charters was spawned by the passion for Vancouver's local salmon fishery by the principals of the company. Jason Assonitis and Jeff Copeland have been avid saltwater fishermen since a young age. Their enthusiasm for the sport of fishing and the natural environment is what guarantees guests a first class fishing experience.